The WHO Executive Board unanimously endorsed Dr Khetrapal Singh, who was earlier also unanimously nominated by 11 Member countries of the region for another five years. Outlining her vision for the second term that begins on February 1, 2019, Dr Khetrapal Singh, said sustaining the gains, accelerating progress to finish the unfinished agenda and innovating, would be the approach to ensure health and wellbeing of the 1.8 billion people across the region. In her first term, Dr Khetrapal Singh, focussed on building an increasingly responsive and accountable WHO in the region, while prioritising persisting and emerging epidemiological and demographic challenges; promoting universal health coverage and building robust health systems; strengthening emergency risk management and articulating a strong regional voice in global health agenda. She identified eight flagship priority programmes, focussing on results and accountability, which are cascading into sustainable and result-oriented efforts. 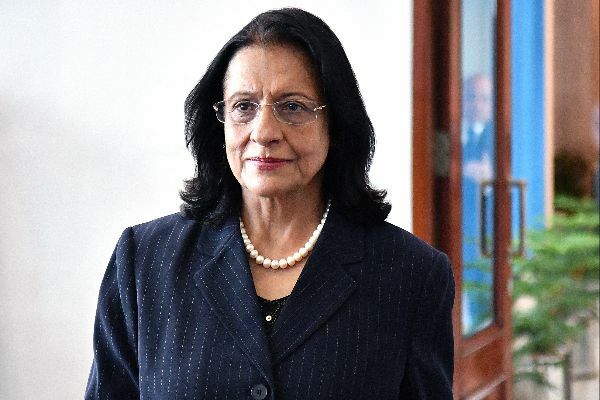 Detailing her vision for her next term in her acceptance speech at the Executive Board, Dr Khetrapal Singh said, “We must sustain the gains we made. It means ensuring we hold fast to our progress in diseases elimination, which history shows can return with a vengeance if attention falters, and ensuring that there is no room for complacency”. “We must accelerate sustainable progress,” she said. Her eight regional flagship priority programmes are aligned to WHO’s global goals and health targets for Sustainable Development Goal 3. “We must innovate,” Dr Khetrapal Singh said, adding innovation means taking advantage of the existing opportunities, being agile in applying research findings and developing new policies to meet the challenges we face.